We’re popping up at Hickory Street Cafe with hand-selected Makers + Creators making a difference in your community! Shop the lineup and enjoy all the magical spring vibes! Come ready to munch on some lunch prepared by Hickory Street Cafe, enjoy alkalized & oxygenated water provided by our event sponsor, Blue Jug of Abilene, and shop the Makers + Creators we’ve carefully hand-selected for the occasion. We’ll also have a variety of LaCroix flavors on the house. Who’s in? All lunches include a slice of their famous made-from-scratch zucchini bread. Yum! Zucchini Bread Loaves and Almond Bread Loaves, perfect timing for Mother’s Day! Sponsored in part by Blue Jug of Abilene located at 1829 Industrial Blvd. Come hang with us at Record Guys + our favorite local vintage shops Saturday, Feb 9th for our first popup of the year! Complimentary Topochicos + record spinning deals! Literally. Shop the goods including, but not limited to clothing, relics, home, body by Hello Retro | Salty Lady Vintage | Wilderness Sister | Esther's Vintage Thrift. Join our Facebook event to catch all the updates! JOIN US FOR A ONE-OF-A-KIND MARKET EXPERIENCE WITH VEGAN WONDER THIS HOLIDAY SEASON! Vegan Wonder and A People Party Productions have teamed up with Cheer Up Charlies to bring Austin a one-of-a-kind Holiday Market experience with Makers + Creators, Live Music, Live Demos, and amazingly curated plant based food, of course! Vegan Wonders' purpose… is to plan vegan events throughout Austin with the primary goal of making thoughtful, delicious, plant-based food more available to our community. It is our hope that we will inspire a trendy, more sustainable lifestyle centered around plant based foods and drinks. We are creating unique, inclusive spaces to celebrate food and life for the kind and the curious. A People Party Productions exists to… help small shops and creatives gain momentum through meaningful connections and events. We create cross promotional and strategic marketing opportunities through fun pop-ups, larger #peoplepartycraftfairs, social networking, and creative marketing. Come join us for the celebration! Save the date Dec 8th! Abilene Holiday People Party Craft Fair! 10AM - 5PM | 201 Mesquite St.
Join us December 8th for our Holiday Pop-Up featuring an array of handcrafted items such as jewelry, handmade apothecary, apparel, accessories, home goods, woodwork, artful goods, + more! More details TBA! ATTEND ON FACEBOOK FOR UPDATES! We're excited to partner with The Refinery for our Fall #peoplepartycraftfair! 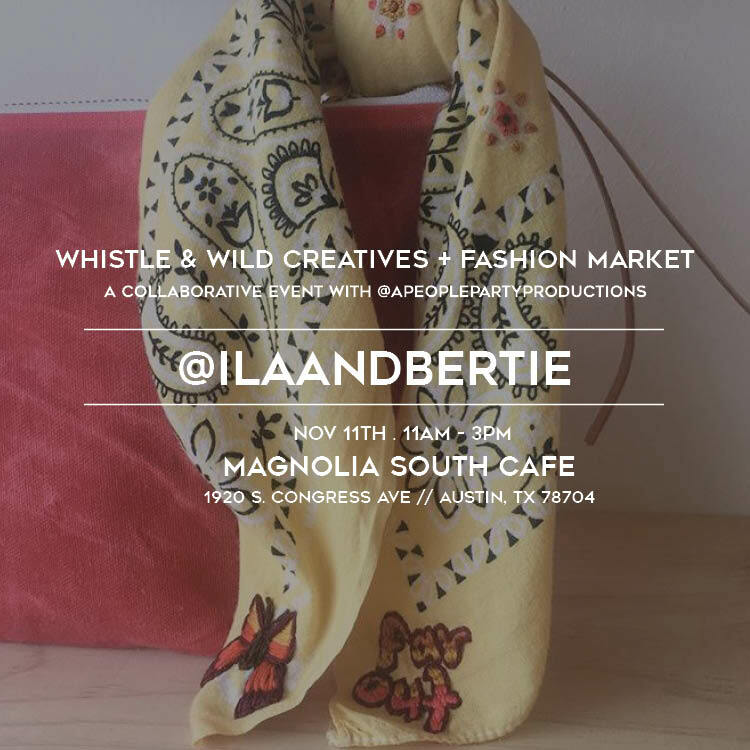 Featuring 25+ Makers + Creators bringing handcrafted items such as jewelry, apothecary, apparel, accessories, home goods, woodwork, artful goods, + more! JOIN US FOR THE EXCLUSIVE PREVIEW PARTY!! Includes admission to the main event. 10AM - 11AM // Limited seats! w/ Hayley Swindell, founder of The Refinery / Canvas & Michelle Simmons of SlowNorth talking the "State of Makers in ATX"
Promoting the Makers + Creators in ATX & the surrounding area! HAND SELECTED MAKERS + CREATORS! Join us with the fun loving Chelsea Francis founder and hostess of #atxconnectionmixer for a fun Pop-Up Market at Space 24 Twenty in the heart of Downtown Austin! @atxconnectionmixer is a monthly meetup for creative minded individuals in Austin, TX started by @ohhhchelsea! Meet the makers + creators of handmade handpicked small shops we love! Grab a bite from the local food trucks don't miss our Holiday Bar brought to you by Abi-Haus! Make memories with our hashtag photo booths and enjoy chill vibes with our DJ + LIVE MUSIC as you shop from the heart! This event features over 50 pop-ups from across Central and West Texas, from cities such as Austin, Denton, Abilene, San Antone, Dallas, and in between! General Admission at the door. Children 12 and under free. $5 for 13 and up. $3 with student ID. Wellness + Beauty Spa Tent: Co-created by EssentiallyWellCo., this segment will feature handcrafted candles, soaps, body treatments + complimentary DYI holiday bath samples. We'll also be working with local message therapist Chrysalis Spa + Abilene Yoga House, Simply More Snacks, The Den: a Wellness Place, and more TBA to bring you the best of the best when it comes to living a beautifully curated lifestyle of health and wellness! The APPP Man Cave: We've curated a cozy room entirety dedicated to the men in our lives, however all are welcome! Grab some home brewed samples from Big Country Homebrewers Association, a four-minute message from Breathe Massage Therapy, plus some action with our Mini Ping Pong Tournament hostes by Horizon Images & Forrest Woodworks + more TBA! SO stoked about this segment of our event! Creative Bakers Corner: Shop handmade treats & homemade baked goods brought to you by the locals. This segment of our event is hosted by our partnering non-profit Baba's Glory. 70% of these booth fees will go to benefit our partnering non-profit +100% of the organizations baked goods sales. A People Party Productions proudly presents the first ever VIP After Party for our next People Party Craft Fair Dec 9th, with co-host Betty&June boutique bringing an exclusive hour and a half pop-up. Doors will reopen for this event from 7pm - 8:30pm. Only the first 50 to purchase a ticket will be admitted from the general public. Simply show your ID at the door to be marked off the list. Link below to pruchase your ticket. Enjoy the newest venue in Downtown Abilene with full access to the balcony & Public-Haus pop-up bar. DJ spins provided by Jared Anderson. Mingle with the makers + creators and sponsors of the #peoplepartycraftfair, plus complimentary sweets & treats provided by Brandt Cakes & Sabrina's Pastries! Purchase at Betty & June located at 189 Pine St. in Downtown Abilene, TX or now online! Only 50 tickets available for purchase. Link below! Meet Our Partners | Music Lineup | Event Sneak Peak! The Grace Museum and A People Party Productions have partnered for this festive Holiday Tablescape Workshop! Registrants will receive 3 mini hands-on workshops with completed projects to take home including a hand lettered placecard + handmade fresh garland + customized wooden signage, receive a pass for the People Party Craft Fair on December 9th, and learn how to integrate all of these creative elements into a beautifully designed Holiday Tablescape. Learn how to create elegant placecards with wood round medallions and metallic paint pens. Using this faux-calligraphy method you can add a bit of holiday sparkle to any occasion or gift for the season! Join Grand Avenue Designs for a DIY Class focusing on your Christmas tablescape! You’ll receive step by step instruction on how to create your own beautiful fresh garland for the holidays, using some of the most on trend products in floral design! Come see for yourself how versatile fresh garlands can be for any occasion or celebration! You’ll be surprised what you can do at home on your own after this DIY Class! CHECK OUT GRAND AVE DESIGN CO.
Customize a wooden piece for your next special occasion or a permanent piece for your home. Take home a small sample of what Grove Street Supply Co. can customize just for you! CHECK OUT GROVE STREET SUPPLY CO.
APPP is Jen Harmel, co-founded by husband Forrest Harmel in 2013. While Forrest is now focused on his own craft work @forrestwoodworks, Jen continues to develop the APPP business platform with a growing network of makers and small business creatives. 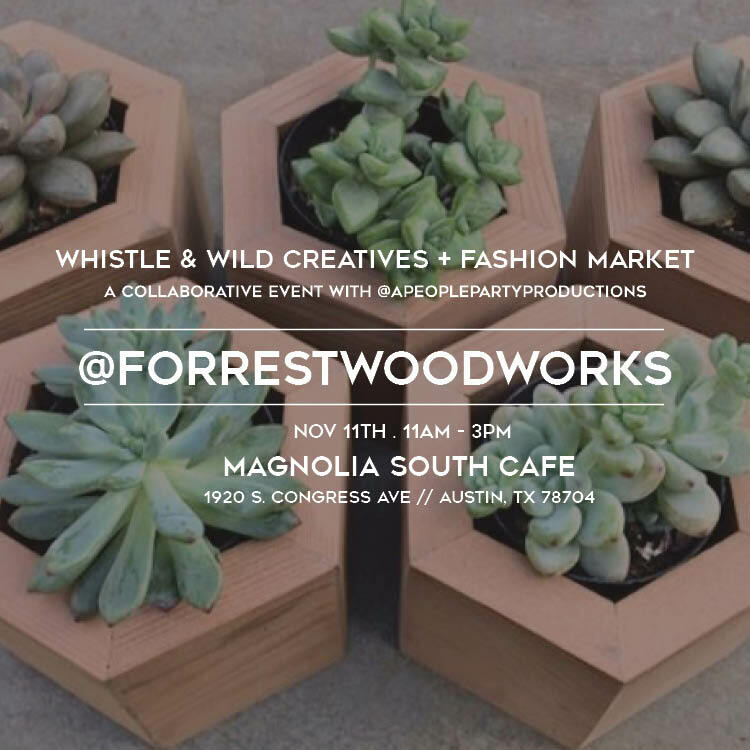 Come join us at the Whistle & Wild Creatives + Fashion Market, Nov.11th from 11-3pm at Magnolia Cafe South in the heart of Austin, Tx! Whistle & Wild will be out with all her fall fashions alongside our hand selected creatives for this perfectly curated day of local shopping. 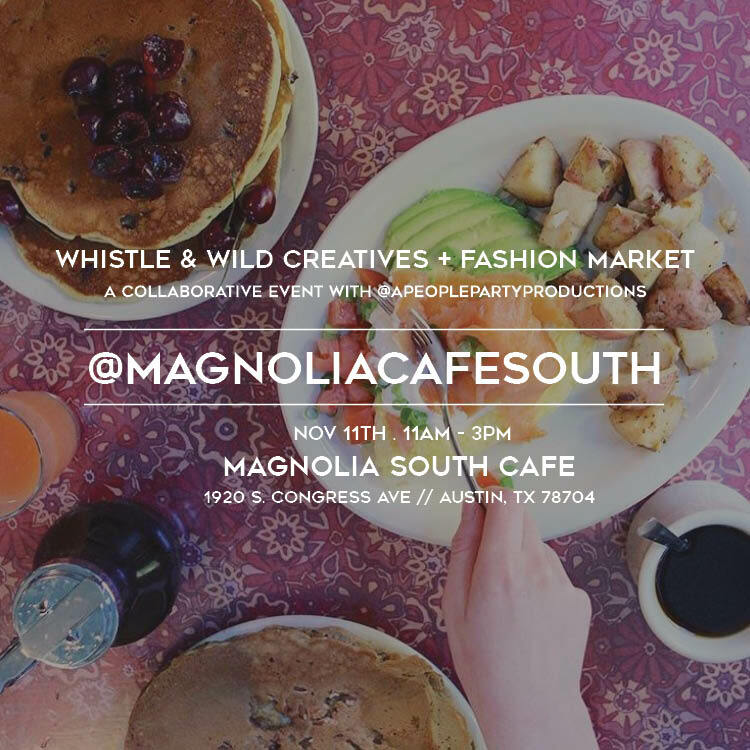 Plus, make sure to bring your appetite for the Magnolia Cafe South menu + mimosa & cold brew bar! November 11th is also Veterans Day and certain vendors will be donating a % of proceeds to different veterans causes. Excited to see you there! Brought to by A People Party Productions & Whistle & Wild. // Check out our participating shops below! A clothing swap is a type of swapmeet wherein participants exchange their valued but no longer used clothing for clothing they will use. Clothing swaps are considered not only a good way to refill one's wardrobe, but also are considered an act of environmentalism. Be on the look out for our next one! The 3rd Annual Key City Rhythm & Blues Festival benefiting United Way of Abilene will take stage April 28-30, 2017 at the Nelson Park Festival Gardens in Abilene, TX! Join us Friday night and Saturday night for fabulous blues music under the West Texas sky with a variety of vendor small shops and food trucks! Then end your weekend with our Sunday Gospel Brunch. All events are ticketed to the public. Tickets start at $25 with a variety of packages available. For more information about general admission or this event, visit keycityblues.com, contact United Way of Abilene by phone at 325-677-1841, or send an email to bethany@unitedwayabilene.org. Attend the Facebook Event for all updates. Enjoy a day at The Food Park in Downtown Abilene with local street vendors, live music, and a variety of local food trucks. Every 4th Saturday of each month! Interested in becoming a Market Day Vendor? Click below to get connected! Big Brothers Big Sisters is taking fundraising to new heights! Over the Edge is a unique fundraising event, providing participants the thrilling, once in a life time chance of rappelling down the 20-story Enterprise Tower in an exciting and completely safe environment. Space is limited to the first 76 participants. Individuals who want to participate are required to raise a minimum of $1,000 by soliciting donations from family, friends and co-workers through our Over the Edge on-line giving site. Once you've reached the $1,000 fundraising goal, you can lock in your rappel spot! For more information, contact Big Brothers Big Sisters Director of Events, Mallory Ashford at mashford@bbbstx.org or call 325-674-3115. Click on: http://www.bbbstx.org/overtheedge to register! A People Party Productions is excited to help promote this fun event to help the fundraising efforts of Big Brothers Big Sisters in Abilene, Tx! We believe in this organization and have seen how it has helped changed the lives of so many young people! Read the deets below, and come out to support! PLUS! We will be sending an APPP Rep to Rappel the 20 story high Enterprise Building! Support Big Brothers BIg Sisters! Attend the Facebook event here. APPP CLOTH SWAP AT THE FOOD PARK! A People Party Productions is excited to host another APPP CLOTH SWAP in Downtown Abilene during BIG DAY DOWNTOWN at THE FOOD PARK! Come see us at 1089 S.1st Street! We'll be there! Come see us at the launching of The Food Park in Downtown Abilene March 22 for the lunch hour 11am - 2pm! Grab a bite to eat and enjoy the atmosphere with some live music by our very own Happy Fat! We are excited to offer food trucks the opportunity to set-up at our Downtown Food Truck Destination for lunch Mon-Sat 11am-2pm & Dinner Fri & Sat 7pm-11pm beginning March 22nd. Pre-Order your I ♥ Food Trucks Tee to support the Food Truck Scene in Abilene! We will have them available for pick up at our Grand Opening Celebration April 23rd! Cannot wait! Click here to order. TIME FOR ANOTHER BROADWAY PRESHOW PARTY! Don't miss the BULLETS OVER BROADWAY Pre Show Party brought to you by A People Party Productions and Abilene Cultural Affairs Council providing live music, local food vendors, and the bar! Purchase tickets at www.celebrityattractions.com or the box office at the Abilene Civic Center. The Stairs Club is excited to bring you LIVE MUSIC EVERY FRIDAY NIGHT kicking it off with their LIVE MUSIC LAUCH PARTY Friday, January 29th. This show is brought to you by A People Party Productions with Nashville artist Quinn Erwin and local guest openers Jonathan Hester and Jake Rosser. No admisson. Come join the Friday Night Launch with The Stairs Club and their crew serving up all your favorites at the bar + LIVE MUSIC! Here's to another Abilene venue providing you with the live music experience in Downtown Abilene! It's time for RAGTIME, Dec 15th! Abilene Cultural Affairs Council and Celebrity Attractions (Abilene, TX) bring another amazing Broadway Series to the Abilene Civic Center and A People Party Productions is excited to be a part of it this season! Purchase tickets at www.celebrityattractions.com or the box office at The Civic Center. PLUS! Don't miss the Pre Show Party brought to you by A People Party Productions and Abilene Cultural Affairs Council providing live music, local food vendors, and the bar! Follow @broadwayabilene on Instagram for more great photos! This year we are excited to host another lineup of live music for the Fall 2015 People Party Craft Fair during the evening hours of our event! Don't miss this amazing FREE SHOW filled with quality performances by several out-of-town guests: Rethink from Denton, Tx bringing you atmospheric beats and mixing with the best vocal sampling we've heard in our area, Jess Goodlett from Abilene,Tx who could be described as soulful folk with her refreshing r&b vocals, The DeadSea Horse solo act from Amarillo, Tx with overlapping effects and self-produced harmonies that make his Americana folk sound thick and full of warmth reminiscent of M Ward, and our two headlining bands, The Cover Letter, an "Austin band that takes advantage of the skill and energy of all five members to create indie folk with powerhouse vocals and a dynamic edge," - Austin radio Erika Hoelscher, of KUTX 98.9, followed by Hogan and Moss described as scorch folk with a whole lot of vintage pulse, also compared to the magical sync of Gillian Welch & David Rawlings by the Houston Press. Don't miss it! 6pm - 11pm at the Fall 2015 People Party Craft Fair! Pictured to the right, The Cover Letter from Austin, Tx. A People Party Cloth Swap! 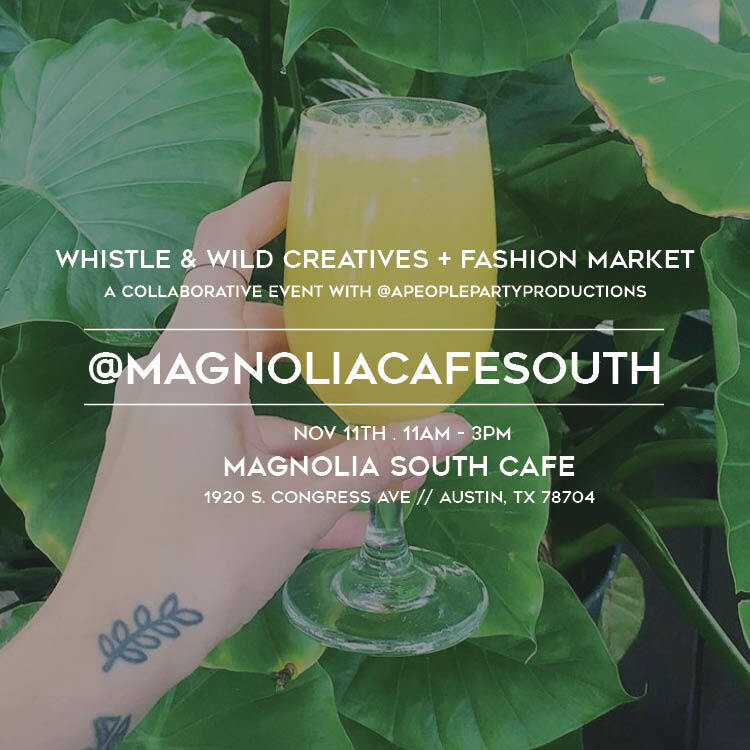 Come to Monks Coffee Shop for a day of clothing swapping, coffee sipping, food truck fun and Betty&June boutique specialty shopping with A People Party Productions >> CLOTH SWAP EVENT! kloTH swap - A fun event to bring clothing items and accessories you no longer wear in exchange for someone elses. A great ecofriendly way to spruce up your closet with new things to cling to. 1. $10 to participate the day of the event. Cash or card. 2. Items must be checked-in 2pm - 3pm | Come & go swaping till 6pm. 3. All items must be clean and in good condition ready to hang. 6. Dressing rooms & mirrors available. - Receive 10% off your Monks drink the day of the event! - Be entered to win a Betty & June gift card with a Social Media Giveway the day of the event! - Receive a Downtown Goodie Bag full of coupons to your favorite downtown shops courtesy of our Downtown Sponsors! David Ramirez is performing in Abilene,TX 9.25.15 at the Neon Parrot Lounge, brought to you in part by A People Party Productions! There's limited seating for this intimate Album Release Party Show! Buy your tickets here. And don't miss our very own Andrew Holmes as the opening act for this lovely gathering! FREE CONCERT @ ROSE PARK! A People Party Productions & The Palm House - Abilene, TX are hosting a FREE CONCERT @ ROSE PARK- Friday, June 12th | 4pm-8pm! Our vision is to provide an opportunity for people to connect with people at the heart of it all. Most recently our efforts have turned toward including a FOOD DRIVE during this event for shelters working with Hays County Food Bank. You can bring non- perishable items to the event in sacks or filled boxes. Hays County Food Bank as expressed that one of main ways we can help the families affected by the flooding is financial donations to their direct links listed below. These are families that have lost everything and are in need of help on every level. Bring your families, frisbees, friends, food, and water! Oh! Don't forget your picnic blankets, lawn chairs, bubbles, & anything else to make this day rock your socks off! Enjoy original music and worship sets by Brenton & Cara Williams Dowdy, Our Version, The Well Church, Forrest Harmel, DJ Daniel Phorgvn Murillo, DJ Re-Think, and The Ninja Joy Squad! This free concert is for the sake of fun fellowship & connecting people with people in addition to helping those in need. Come on out for the time of your life and to help make a difference! Attend the Facebook Event to stay updated & invite your friends! Interested in volunteering? Email info@apeoplepartyproductions.com to be added to our volunteer list. A People Party Productions has been officially recruited to manage the local vendors at the inaugural Key City Rhythm & Blues Festival in Abilene, Tx. Festival proceeds will go to benefit the Community Partners of United Way of Abilene. Headline performers include Ruthie Foster, Tommy Castro, and Marcia Ball. The festival will take place at Frontier Texas in Downtown Abilene. Festival gates will open at 1pm with live music performances till about 10pm. Food, beverages, and festival merchandise will be available for purchase throughout the day. The family-friendly event is ticketed, with tickets ranging in price from $35-$200. Kids 12 and under are admitted for free with a ticketed adult. Tickets can be purchased online at keycityblues.com or in-person at United Way of Abilene and Barr Roofing. Tickets are limited. To stay up-to-date with festival information, "Like" Key City Rhythm & Blues Festival on Facebook. Join us for an entire day of fun local entertainment with live music, food trucks, and local artisans brought to you by A People Party Productions and hosted by The Mill, in Abilene,Tx. If you're interested in being an APPP Spring 2015 Vendor, please submit your application before the deadline, April 6th. You are invited to come celebrate with us at the Fall 2014 People Party Craft Fair! You'll find all kinds of local talent and hand-made cool stuff! Great place to shop for the holidays and enjoy a good time with friends and family! Join and invite all your friends via Spring 2014 People Party Craft Fair. LIVE MUSIC | FOOD TRUCKS | LOCAL VENDORS | NEW TO YOU WARDROBE! 3. Check-in @ 4:30 p.m. | come & go swishing till 6:30 p.m.
5. Can bring: accessories | shoes | all seasons welcome! A People Party Productions & The Majestic invite you to come celebrate at the grand opening event of Abilene's newest venue in town! Bring the entire family for a magnificent evening of fun and connect with other locally owned and operated businesses and handcrafted vendors!